You are invited to Cafe Turko's 5th anniversary and grand reopening brunch for vegetarians and meat lovers! Gorgeous new location 0.1 miles from our previous location! We will take you to Turkey with rich vegetarian and meat options: 1. Authentic Turkish plate with olives, feta cheese, kefir cheese, tomatoes, cucumbers, hard boiled egg, homemade jam and cheese; 2. Rainbow hummus platters : yam, beet, spinach and traditional hummus; 3. Beef kabab wrapped lavash bread with sumac seasoning 4. Roasted vegetable wrapped lavash bread with sumac seasoning ; 5. Roasted squash salad; 6. Turkish tea / coffee / or cold drink; 7. Fresh fruit; 8. Warm homemade halva with drizzled tahini. We can't wait to welcome you. We will prepare two large common tables for you. 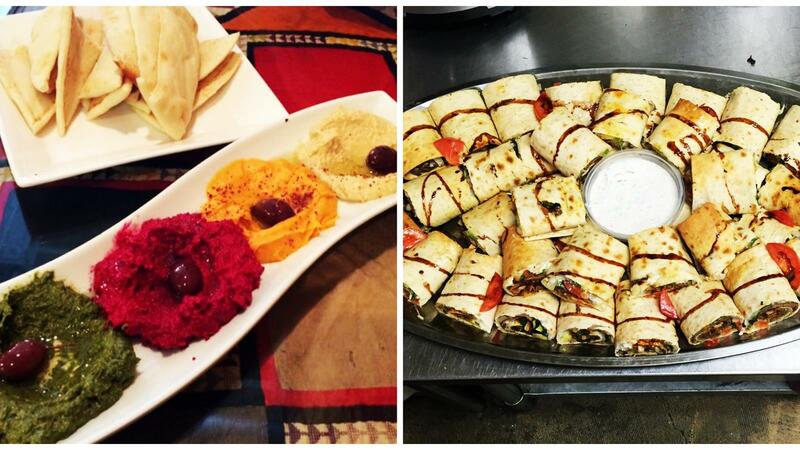 Delicious Turkish food and drinks await you! See you soon!